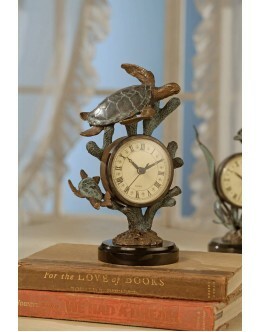 The Dolphin and Turtle Table Clocks are a true piece of artwork. Both made up of solid brass with a marble base. A superb addition to any home or office. 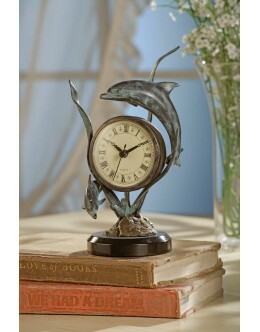 Table Clock - #33019 Dolphin The artistic detail and craftsmanship are a magnificent accent to your..